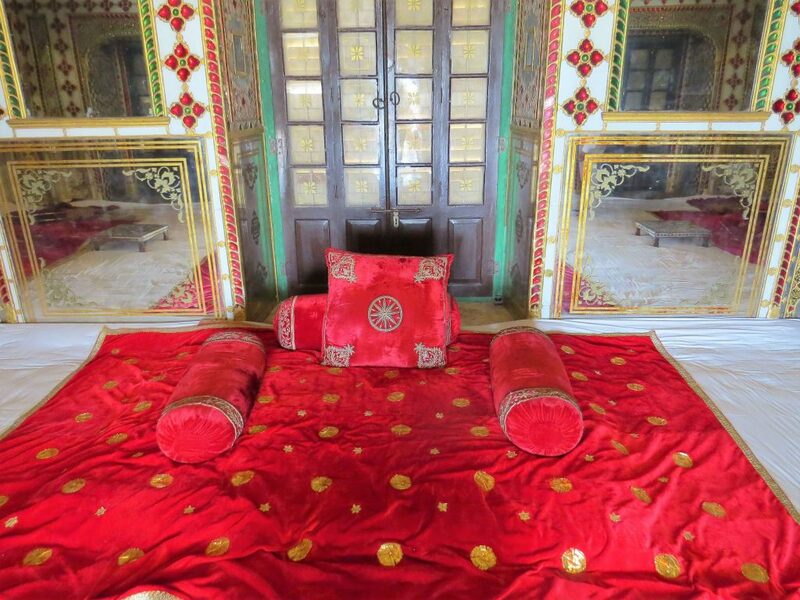 A collection of private rooms at the Jaipur City Palace are one of Rajasthan’s best kept secrets. Discover them in detail with Indian Excursions on a private, tailor-made tour of Rajasthan, India. Jaipur, the vibrant capital of Rajasthan, is a must on any tour of the region. It delightfully blends the old with the new; modernity with tradition (expect to see snooty camels sauntering past motorbikes, and youngsters in jeans rubbing shoulders with turbaned elders). This colourful corner of Rajasthan is also known as the Pink City, as it’s prominent buildings were washed in this colour to welcome the Prince of Wales and Queen Victoria in 1876. Today, many of its towering forts and palaces remain, including the impressive Jaipur City Palace. 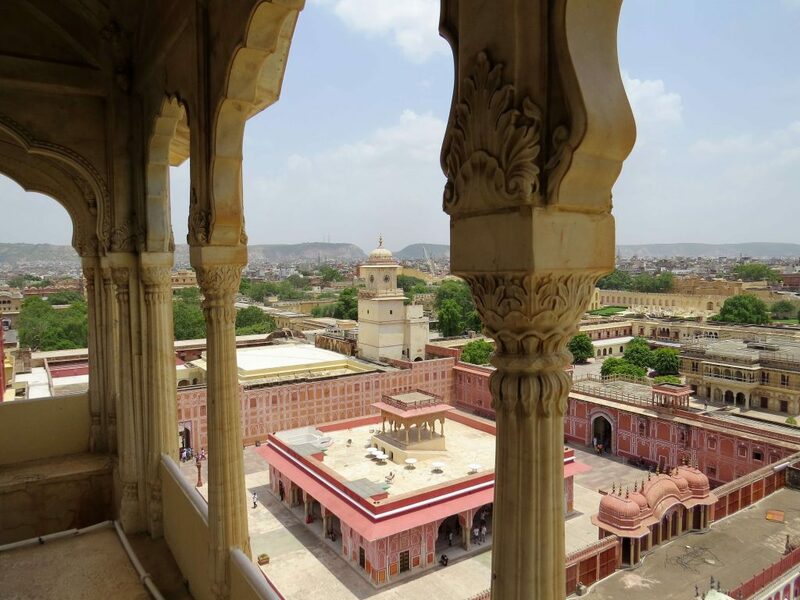 Occupying the heart of the Pink City, the City Palace has been home to the rulers of Jaipur since the early 18th century. The Prince of Wales at Jaipur, 4th February 1876, Vassili Vereschagin. Oil on canvas. 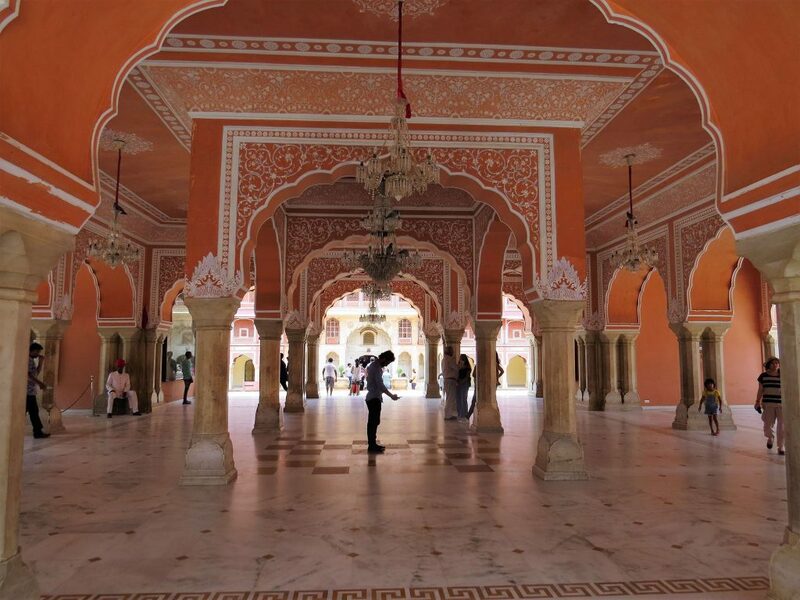 The sprawling Jaipur City Palace complex is a beautiful fusion of Rajput and Mughal architecture, with breezy Mughal-style open courtyards leading off into exquisite private apartments. The sheer wealth of the maharajas of yesteryear is immediately apparent in the opulence and exquisite craftsmanship throughout. 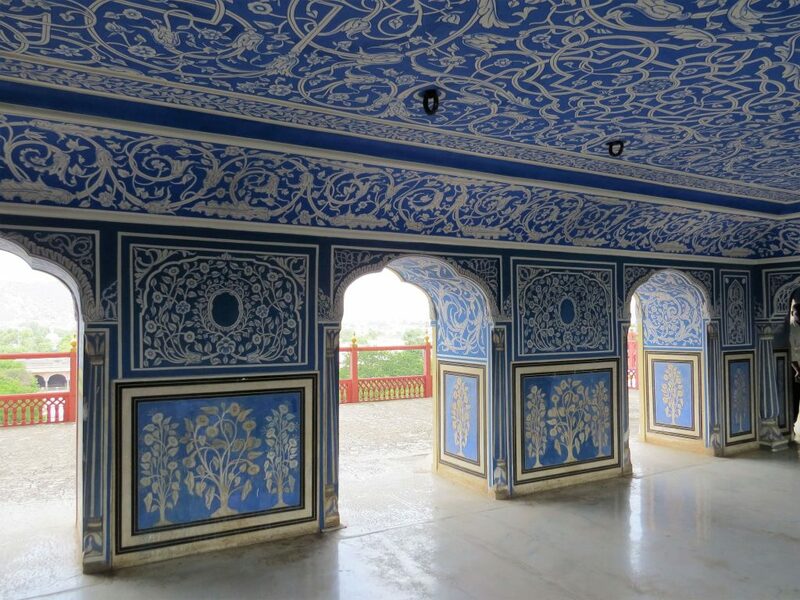 Today, much of the complex is open to the public as the Maharaja Sawai Man Singh II Museum, aka the City Palace Museum, and this is fairly well trodden. 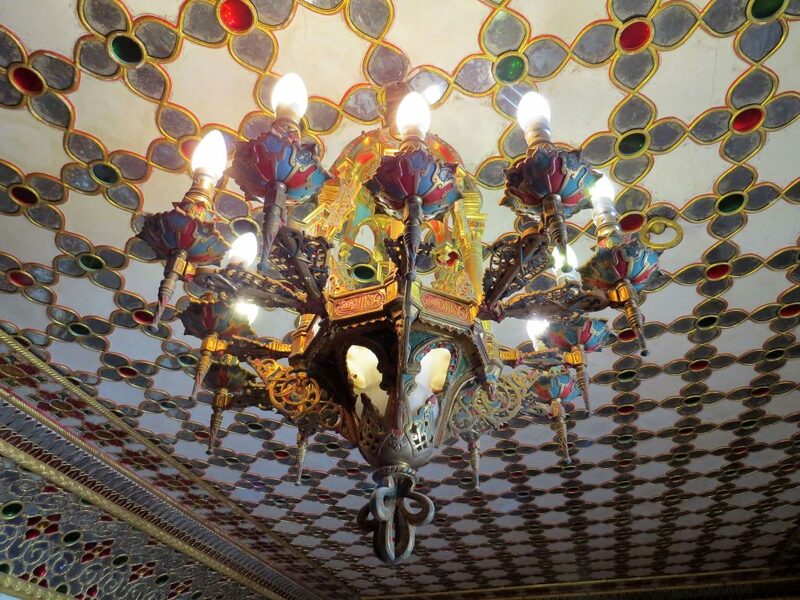 What remains a secret to those in the know is that palace visitors may also explore a number of private rooms, in the stunning Chandra Mahal (moon palace), which remains the residence of the erstwhile Maharaja. 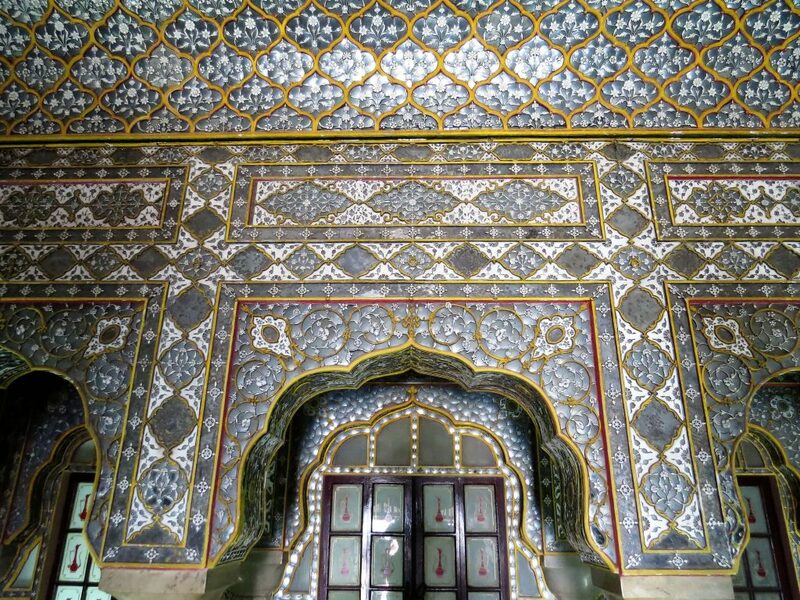 Each floor of the seven-storeyed Chandra Mahal palace is lavishly adorned and has a specific name to reflect its function. 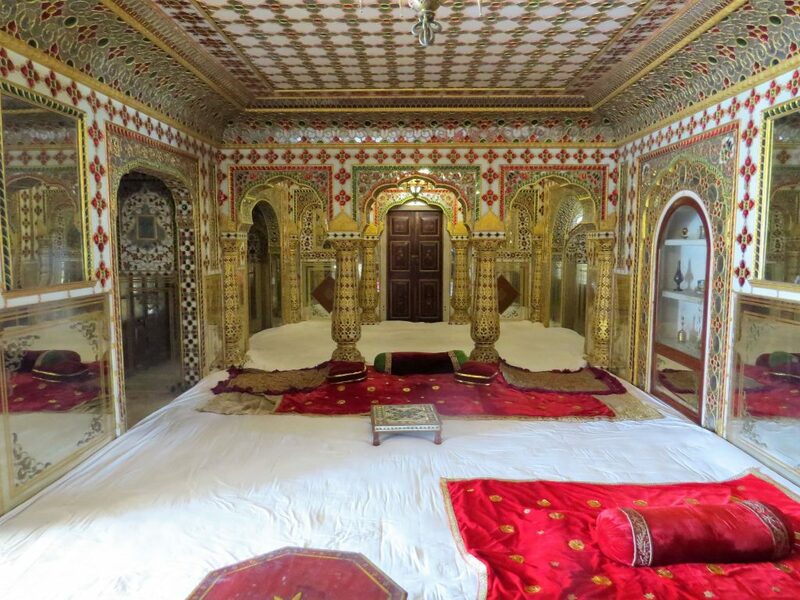 The Sukh Niwas, or Hall of Rest, is the fully-furnished royal dining room. 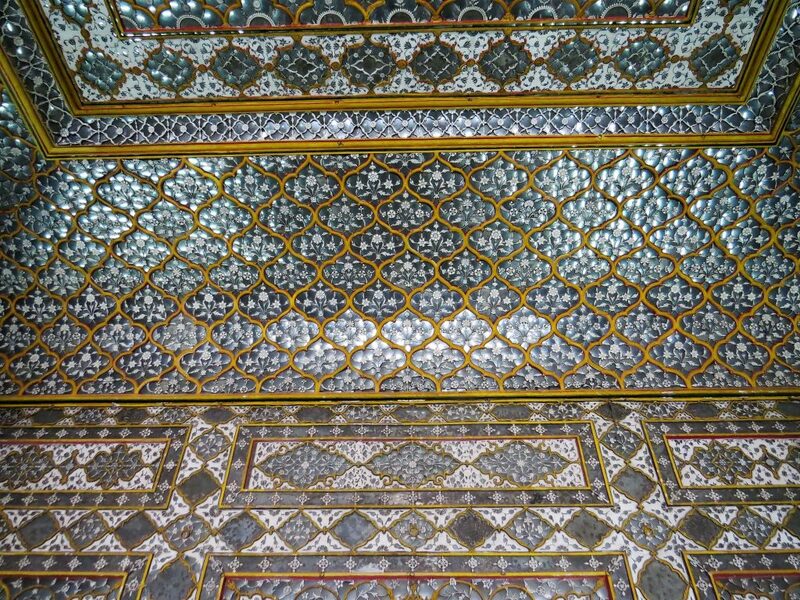 The third floor, the Rang Mandir, is adorned with mirror work across the walls and ceiling. 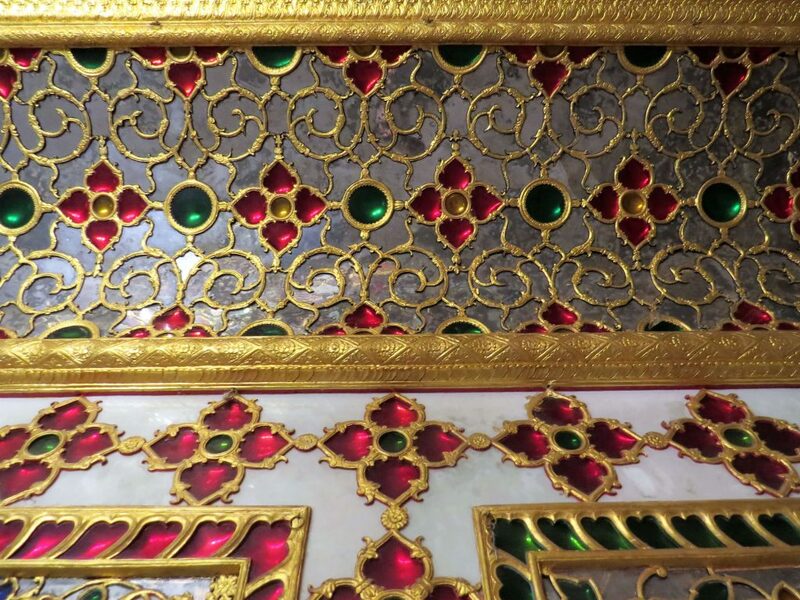 Shobha Nivas, on the fourth floor, is known as the Hall of Beauty, with the walls lavishly embellished with mirrors, tiles and gold leaf detailing. 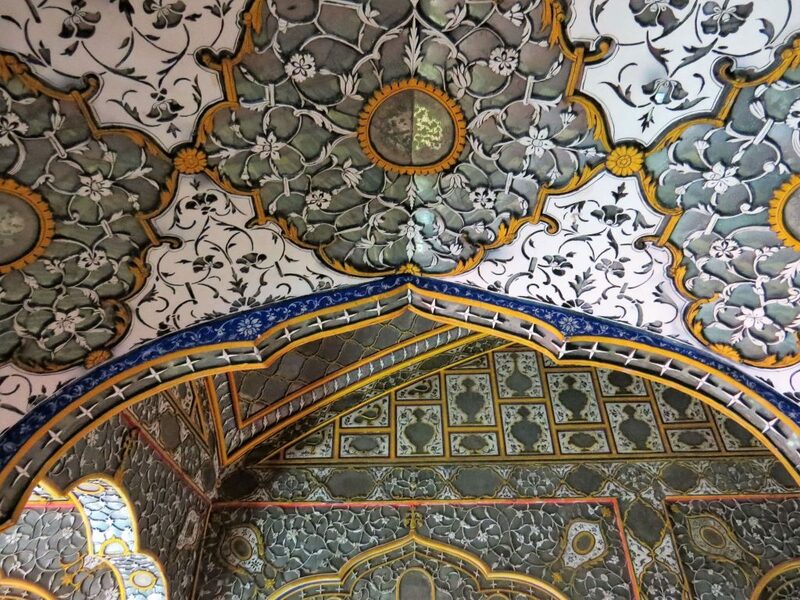 The Chhavi Nivas, or Hall of Images, is on the fifth floor, and was the monsoon retreat of the Maharaja. On the sixth floor is Shri Niwas, and the seventh is the Mukut Mandir (Crown Temple). 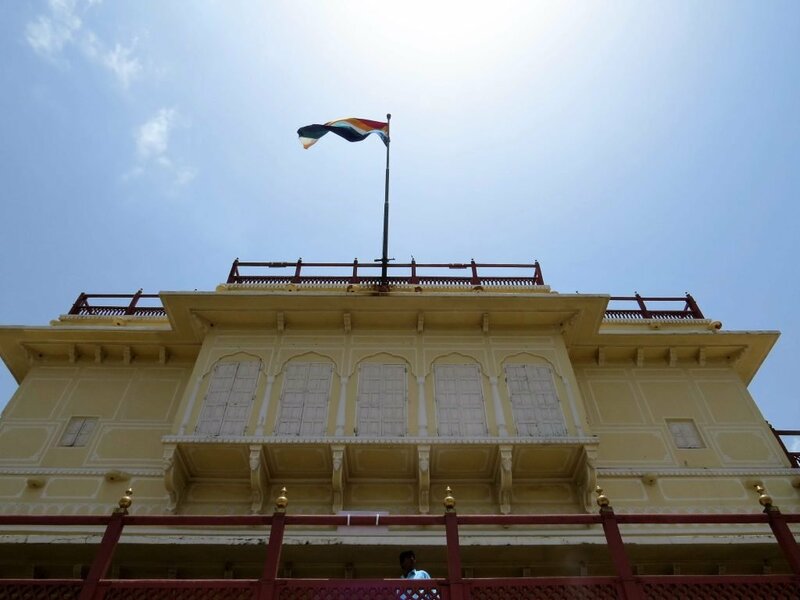 At the very tip of the Chandra Mahal is the flag of the Jaipur royal family, which is unfurled only when the Maharaja is in residence. 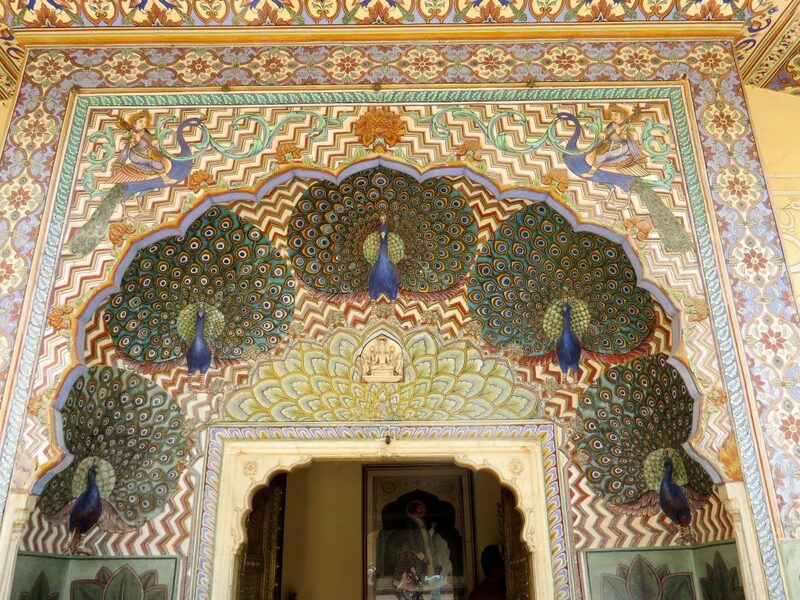 Sadly but understandably, photography is not allowed in all the private rooms of Jaipur’s City Palace (for example in the exquisite royal dining room, where the Maharaja would host his guests)… then again, we wouldn’t want to spoil all the surprises for you! 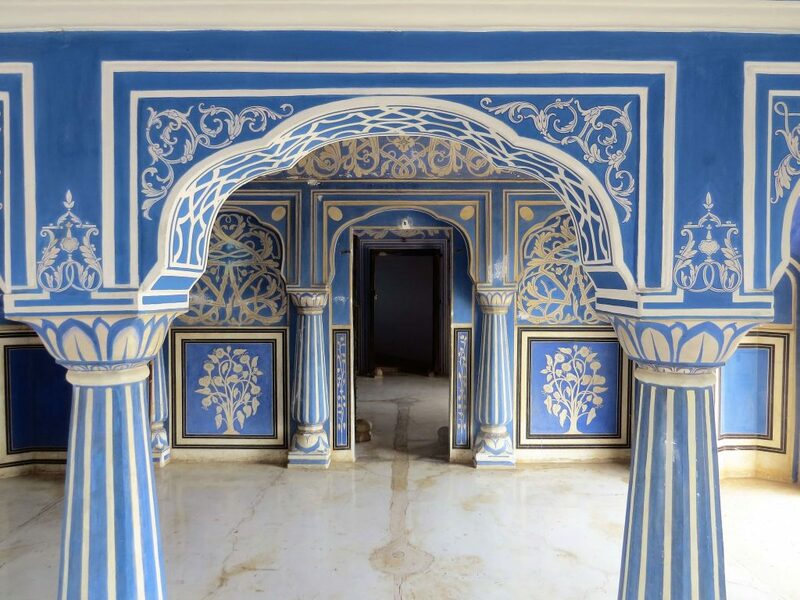 On the second floor, the stunning Chhavi Nivas is a beautiful bright blue with white detailing. This room was used to enjoy the monsoon rains. 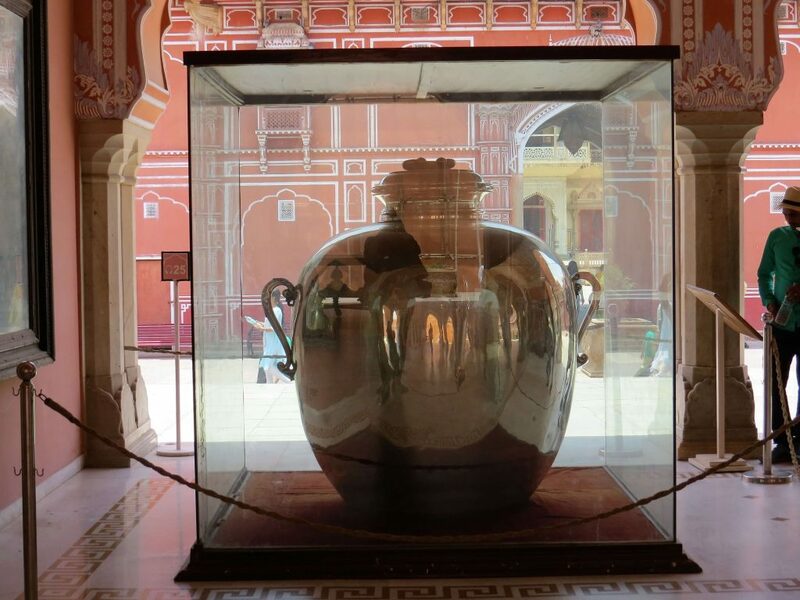 Other highlights in the public areas of the City Palace Museum include two giant silver urns, located in the Diwan-i-Khas. They’re listed in the Guinness Book as the largest silver objects in the world. Their original purpose was to carry sacred water from the river Ganges to London for Madho Singh II to drink during his stay there in 1901. Another particularly stunning part of the palace complex is the Pritam Chowk, the ‘Court of the Beloved’. It boasts four stunning and delicately painted doorways representing the four different seasons. A richly decorated gate in the Pritam Chowk. This one, with peacock detailing, is the most popular. 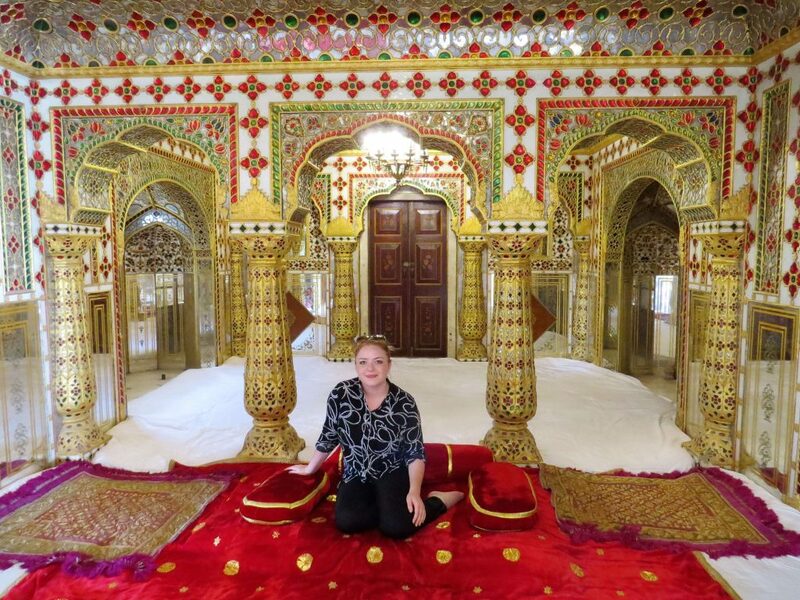 If you’d like to explore Jaipur’s City Palace and the beautiful private rooms in the Chandra Mahal, please do get in touch. As experts in tailor-made tours of Rajasthan, we’d be an ideal match to assist with your arrangements and bring your ideas to life.